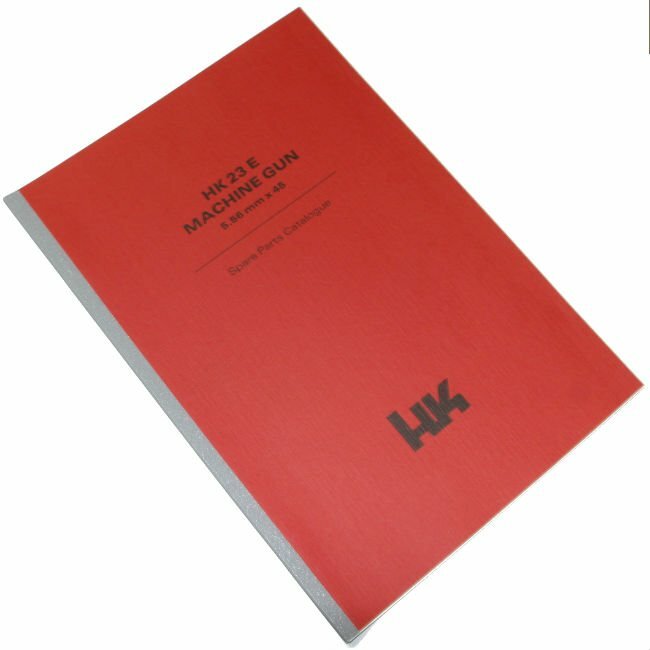 Hard to find HK23E spare parts catalog. This is an original German printing, in English. Though short on text this manual is a great photo resource with many images, breakdown pictures and exploded views of all sub-assemblies. Each part is numbered, named and listed with the HK stock number. A great reference and collectible to go with your valuable HK23E.